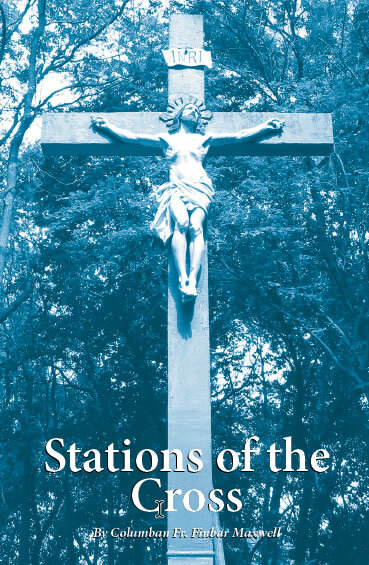 O God, who hallowed the standard of the life-giving Cross by the precious blood of Your only-begotten Son; grant, we beseech You, that they who rejoice in honoring the same holy Cross, may rejoice also in Your ever-present protection. Through the same Christ our Lord. Amen. Most holy and immaculate Virgin, Mother of Jesus and our loving Mother, being his Mother, you shared in His universal kingship. The prophets and angels proclaimed Him King of peace. With loving fervor in our hearts we salute and honor you as Queen of peace. We pray that your intercession may protect us and all people from hate and discord, and direct our hearts into the ways of peace and justice which your Son taught and exemplified. We ask your maternal care for our Holy Father who works to reconcile the nations in peace. We seek your guidance for our Head of State and other Leaders as they strive for world peace. Glorious Queen of peace, grant us peace in our hearts, harmony in our families and concord throughout the world. Immaculate Mother, as patroness of our beloved country, watch over us and protect us with your motherly love. Amen. Save us, Christ our Savior, by the virtue of Your holy Cross: You Who saved Peter in the sea, have mercy upon us. Mary, Mother of mercy, pray for us, and we shall be delivered; Mary, our advocate, speak for us, and we shall be saved. The Lord justly scourged us for our sins; but Holy Mary, plead for us, for you are our most tender Mother. Mary, in your Jesus have we put our hope: Oh! let us never be confounded. I love You, O my God, and my only desire is to love You until the last breath of my life. I love You, O my infinitely lovable God, and I would rather die loving You, than live without loving You. I love You, Lord and the only grace I ask is to love You eternally... My God, if my tongue cannot say in every moment that I love You, I want my heart to repeat it to You as often as I draw breath. I venerate and glorify you, O Most Blessed Trinity, in union with the ineffable glory with which God the Father, in His omnipotence, honors the Holy Spirit forever. I magnify and bless you, O Most Blessed Trinity, in union with that most reverent glory with which God the Son, in His unsearchable wisdom, glorifies the Father and the Holy Spirit forever. I adore and extol you, O Most Blessed Trinity in union with that most befitting glory with which the Holy Spirit, in his unchangeable goodness extols the Father and the Son forever. Amen. Heavenly Father, be pleased to bless and protect our Holy Father, whom you have chosen as the successor of St. Peter as the chief minister of unity and charity in the Church. Keep him safe in holiness of life and in wise fulfillment of his awesome responsibilities. We ask this through Christ, our Lord. Amen. O Lord Jesus Christ, who, being made subject to Mary and Joseph, did consecrate domestic life by Your ineffable virtues; grant that we, with the assistance of both, may be taught by the example of Your Holy Family and may attain to its everlasting fellowship. Who lives and reigns world without end. Amen. Thank you dear Lord, for protecting and preserving me during the night and for giving me this new day. Good morning Heavenly Father, and thank you for the glory of the sun. And thank you for the health I have to get my duty done. I shall devote the hours of this golden day to You, by honoring Your Holy Name in everything I do. I shall pursue my daily art without complaint or fear and spend my every effort to be friendly and sincere. I know there have been many days that I have wasted away. But this is one that I will try to make Your special day. And so once more, Good Morning Heavenly Father. And please depend on me because I want to honour you for all eternity. Amen. O Jesus, who in the very first days of Your earthly life was compelled, together with Mary, Your loving Mother, and Saint Joseph, to leave Your native land and to endure in Egypt the misery and discomforts of poor emigrants, turn Your eyes upon our brethren, who, far away from their dear country and from all that is dear to them, are not infrequently constrained to struggle with the difficulties of a new life, and who are likewise often exposed to grave dangers and snares for their immortal souls. Be their guide in their uncertain journey, their help in trouble, their comfort in sorrow; keep them safe in their faith, holy in their lives, and faithful to their children, their wives, and their parents; grant, O Lord, that we may be able to embrace them affectionately once more in their native land, and hereafter to live inseparably united to them at the foot of Your throne in our heavenly country. Amen. O Jesus, we know you are gentle and that you gave your Heart for us. It was crowned with thorns through our sins. We know that even today you are praying for us so that we will not be lost. Jesus, remember us when we fall into sin. Through your most Sacred Heart, make us all love one another. Cause hatred to disappear among men. Show us your love. We all love you and we want you to protect us with your Heart of the Good Shepherd. Come into each heart, Jesus! Knock at the door of our hearts. Be patient and persistent with us. We are still closed up in ourselves because we have not understood your will. Knock continuously, O Jesus, make our hearts open to you, at least in remembering the Passion you have suffered for us. Amen. As down in the sunless retreats of the ocean Sweet flowers are springing no mortal can see, So deep in my soul the still prayer of devotion, Unheard by the world, rises silent to Thee. As still to the star of its worship, though clouded, The needle points faithfully over the dim sea, So dark when I roam in this wintry world shrouded, The hope of my spirit turns trembling to Thee. Gentle Jesus, with faith in Your healing powers and confidence in Your constant compassion, I ask you to heal my suffering spirit. May my soul find rest in Your comforting love and relief from sorrow and anguish. I place my trust in Your power to heal my spirit from feelings of hopelessness, unrest, and despair. Amen. Lord Jesus, open our hearts and minds to the guidance of your Spirit. Help us to discern the Father's will for your Church today. Do not let our weaknesses or prejudices hinder your work, and teach us to do all we can to make the kingdom of the Father come on earth. Bring us to the harmony and unity given by your Spirit, and make us one in praising God with you.